Saturday, September 22, 2018. 11: 00 AM to 2:00 PM. 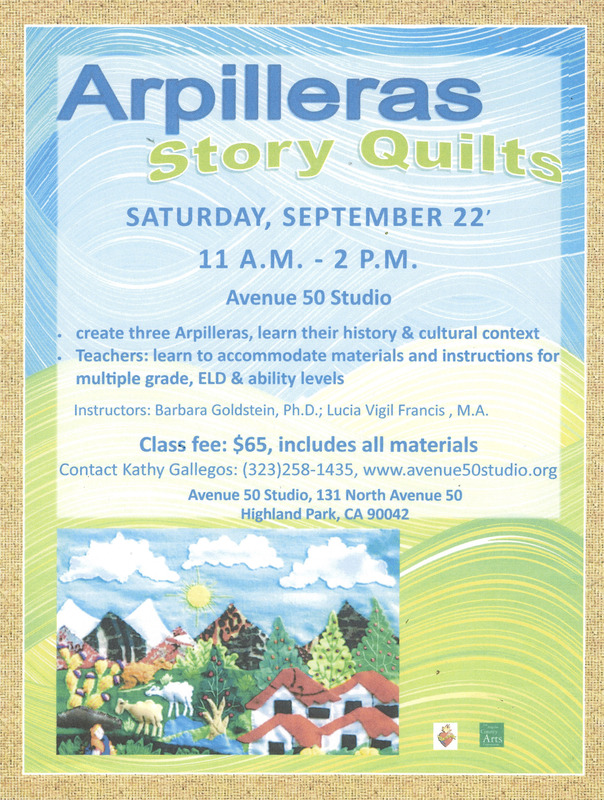 Create three Arpilleras, learn their history and cultural context. Teachers: learn to accommodate materials and instructions for multiple grade, ELD & ability levels. Facilitated by Barbara Goldstein, Ph.D. and Lucia Vigil Francis, M.A. To purchase a spot in the class, you will be directed to Paypal. Please leave a note with the name of the workshop (ie. Arpilleras Workshop).